Brandon Turbeville is the author of seven books, Codex Alimentarius — The End of Health Freedom, 7 Real Conspiracies, Five Sense Solutions and Dispatches From a Dissident, volume 1andv olume 2, The Road to Damascus: The Anglo-American Assault on Syria, and The Difference it Makes: 36 Reasons Why Hillary Clinton Should Never Be President. Turbeville has published over 650 articles dealing on a wide variety of subjects including health, economics, government corruption, and civil liberties. Brandon Turbeville’s radio show Truth on The Tracks can be found every Monday night 9 pm EST at UCYTV. His website is BrandonTurbeville.com He is available for radio and TV interviews. Please contact activistpost (at) gmail.com. “Board” and “Honorary Directorships.” Peterson Institute For International Economics.http://www.piie.com/institute/board.cfm#627 Accessed on September 3, 2015. “Foreign Policy Address at the Council on Foreign Relations.” July 15, 2009. U.S. Department of State website. http://www.state.gov/secretary/20092013clinton/rm/2009a/july/126071.htmAccessed on September 3, 2015. “Hillary Clinton Admits The CFR Gives The Orders.” Youtube. Posted by FreeThinker2012.https://www.youtube.com/watch?v=Ba9wxl1Dmas Accessed on September 3, 2015. 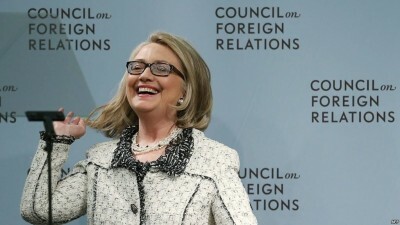 “Membership Rostere (as of September 3, 2015).” Council On Foreign Relations.http://www.cfr.org/about/membership/roster.html?letter=C Accessed on September 3, 2015. Ray, Mitchell. “George Mitchell.” Encyclopedia Britannica.http://www.britannica.com/biography/George-Mitchell Accessed on September 3, 2015.